There was a little item in the paper not long ago that should have been front page news. It was about a survey reporting that physically handsome men were less successful in business, made less money, married younger, and had less "desirable" spouses than men of average or below-average looks. The sociologists who announced these conclusions speculated that the handsome guys tended to get sidetracked in high school, spending more time on social life and less time on studies; they tended to depend on their golden boy charm instead of plowing ahead through college; and they tended, because they were more sexually active at younger ages, to marry sooner and therefore to marry women who were looking for marriage rather than careers. On the average, therefore, the weird kid with acne who's president of Chem Club will do better in the long run than the prom king. 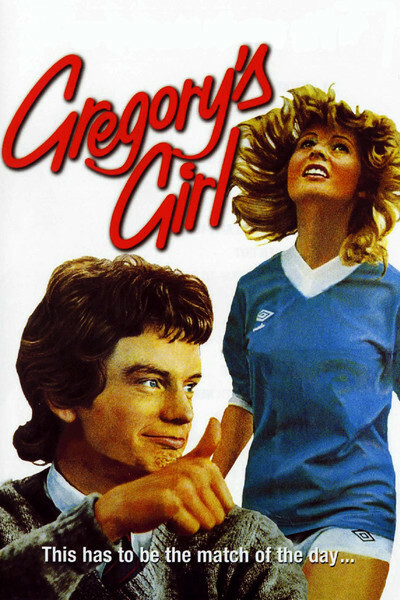 Bill Forsyth's “Gregory’s Girl” is a charming, innocent, very funny little movie about the weird kid. It is set in Scotland, where the teenagers are quieter, more civilized and more naive than, let's say, those in “Class of 1984.” And it is about Gregory (Gordon John Sinclair), a gangling adolescent who has started to shoot up all of a sudden and finds he is hopelessly uncoordinated on the soccer field. Gregory looks sort of like an immensely likable stork. He loses his place on the soccer team to another student who is a good deal faster and more coordinated. The other student happens to be a girl. Her name is Dorothy (Dee Hepburn), and Gregory instantly falls deeply in love with her. Nothing like this has ever hit him before, and romance becomes for him almost a physical illness. Dorothy is sweet to him, but distant, because she not only suspects Gregory's feelings but is way ahead of him in her analysis of the whole situation. The movie takes place mostly in a pleasant suburb of Glasgow, where the kids hang about and trade endless speculation on the impossibility of being sixteen and happy at the same time. Gregory turns for romantic advice to his younger sister, who is much more interested in ice cream. His sister, in fact, is oblivious to boys, although one pays her an earnest compliment: "She's only ten, but she has the body of a woman of thirteen." Meanwhile, Gregory consoles his best friend, who is fifteen and a half and has never known love. This movie is a reminder that we tend to forget a lot of things about adolescence. For example: That it is no use telling a teenager what his faults are, because he is painfully aware of every possible fault in the minutest detail; that boys are absolutely helpless in the throes of teenage romance, whereas girls tend to retain at least some perspective; that it is an unwritten law of the universe that no sixteen-year-old ever falls instantly in love with the right person at the right time. The movie has a lot of gentle, civilized fun with insights like that. And along the way, Gregory the stork is led on a wild goose chase with a swan at the end. The movie contains so much wisdom about being alive and teenaged and vulnerable that maybe it would even be painful for a teenager to see it; it's not much help, when you're suffering from those feelings of low self-esteem and an absolutely hopeless crush, to realize that not only are you in pain and suffering an emotional turmoil, but you're not even unique. Maybe only grown-ups should see this movie. You know, people who have gotten over the pains of unrequited love (hollow laugh).